Britain has a long history of religious conflict, mostly forgotten by largely secular modern society. However, every year on the 5 November one such event is commemorated across the country. Later this week I’m lecturing at Kings College London on a module entitled Responding to Terrorism. In preparation, I’ve been looking at how on the surface the Gunpowder Plot of 1605 reads like modern-day terrorism and how Russell Brand might have something to learn from history. 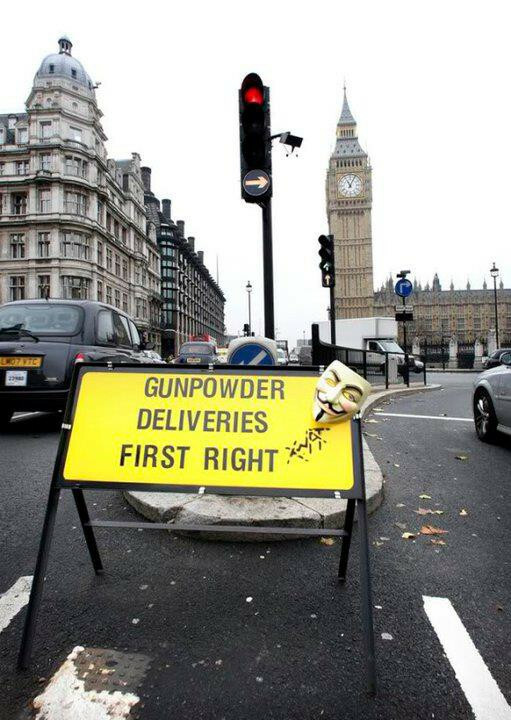 First, let’s look at the Gunpowder Plot: a fringe group of religiously motivated fanatics planning to detonate explosives in an underground area beneath a well-known location in an attempt to change the government to one favouring their religion. It certainly brandishes all the hallmarks of terrorist incidents that we’re familiar with in 2013. Even today, over 400 years after the plot was foiled, the Houses of Parliament in London are surrounded by metal and concrete barriers; it remains a target for terrorism. However, going one step further than the ‘modern’ terrorist, the 13 conspirators (I’ll take off my broad-brimmed hat and cloak if anyone can name, without Googling, more than one of them?!) had developed a plan which went considerably further than striking ‘terror’ into the hearts and minds of the public. Following their planned explosion designed to kill the King and the Government, they next planned to kidnap the daughter of the King, Princess Elizabeth, and create a Catholic government around the puppet crown. It is worth recognising that the plan was more sophisticated than just destroy the current system and see what happens. Interestingly, this latter approach seems to be the style of ‘revolution’ that comedian Russell Brand has recently called for. Additionally, it is interesting to see that protest groups are now using the imagery and metaphor associated with the Fifth of November to stage their own protests about perceived injustice. The semantics of whether or not the 1605 plot was ‘terrorism’ isn’t really the issue for my lecture. What I’m interested in is how have responses changed. Our understanding of modern terrorism shapes our opinions of past events. But at the same time, are there things that we can learn from history to deal with modern risks? Not wanting to give away my secrets before Thursday, check back later in the week for my thoughts! Oh, and I should also mention that it’s not just because of the foiled plot that the Houses of Parliament feature on my Disaster Tour!